On the following pages you can research particularly reprehensible arms export cases. You can learn about the victims of arms exports, about the perpetrators in politics, military, and industry, and about the arms manufacturers. You can also find out how to become active against arms exports as part of our organization. If you find any mistakes in the translations, please let us know at rib@rib-ev.de. (English or German) Thank you for your help. After the terror attacks of 11 September 2001, government policies and the arms industry in the industrialized nations initiated a worldwide turn-around. The phase of global disarmament and demilitarization as a result of the dissolution of the Warsaw Pact and German unification in the Nineties. The hope for a "peace dividend" of billions to combat hunger and promote education and health throughout the world was lost. From then on, priority on peaceful de-escalation of conflicts was superseded by priority on military intervention by war, of which those in Afghanistan, in Libya, in Iraq, and in Syria attracted the most media attention. The past decade-and-a-half has been marked by worldwide re-militarization, with vastly inflated defense budgets and the establishment and expansion of military capacities, above all in the NATO countries. One unique industry profited and profits from this trend: the arms manufacturers and exporters who supply weapons to the regions of crisis and war in the world. They add fuel to the fire of wars and civil wars unscrupulously with constantly increasing shipments of arms. Hundreds of thousands of people have been killed, maimed, and traumatized, whole regions devastated, and the development of the economy and infrastructure of whole states destroyed. The great majority of arms exporters are globally active. Small-arms manufacturers such as Heckler & Koch and Sig Sauer shift or expand their production capacities in order to supply the US market, and from there other countries, with side-arms and rifles. The production of major weapon systems, such as jet fighter Eurofighter Typhoon, is done in a division of labor among several European countries. The final assembly and export are done in the country with the relatively laxest arms-export laws – in this case, Britain, from where 72 Eurofighters are being shipped to Saudi Arabia. This trick enables them to evade stricter national arms-export laws, and supply the theaters of war all over the world almost unrestrictedly with weapons. Anyone who wishes to counter this development with the required seriousness must no longer think in national categories. For the manufacturing is done in the rich industrialized countries of the global North. But the murdering done with the arms from the big corporations in the USA, Russia, China, and Europe occurs mainly in the Near and Middle East, in Africa, and in Latin America. The recognition that we may no longer define research, information, political lobbying, and nonviolent resistance in regionally, nationally or even continentally limited categories has given rise to the idea of worldwide networking. We must and want to oppose the arms exporters in industry, politics, lobby groups, banks, and the military by establishing a global network against the arms trade – which does not yet exist. 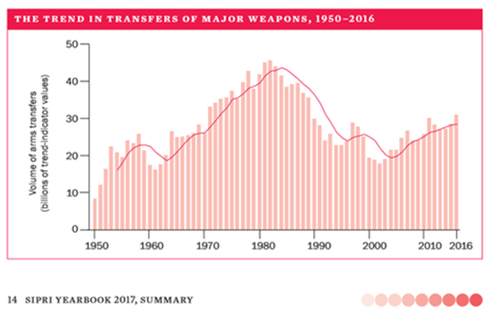 With the GLOBAL NET – STOP THE ARMS TRADE (GN-STAT), we will be informing people about lethal cases of arms exports throughout the world, from the First World War to the present. We wish to give a voice to the victims. We will give a name and face to the perpetrators in politics, the arms industry, the military, lobby groups, and banks, and file criminal complaints when there is a strong suspicion of illegal arms trading. We want to publicize the best arguments against arms exports. We will link up activists in social movements, journalists, authors, war photographers, film makers, doctors, and artists all over the world for this. The basis for all our activities will be a Web site with worldwide access. There, we will inform people about the worst cases of the global arms trade in modern times, at first in English and German, but finally, it is hoped, in all major languages. These examples of arms exports will illustrate the countries, arms corporations, perpetrators, and victims involved. Also, activists against the arms trade will be connected globally, and transcontinental support given to nonviolent actions.